In a two-year field test, scientists from the Hohenstein Institute in Bönnigheim/Germany have proven the effectiveness of a new type of dust mite protection mattress developed by the institute. 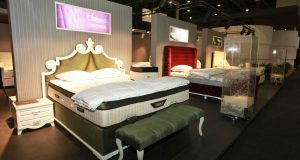 20 people suffering from a house dust allergy received a new ‘Wellmed’ mattress from the Hohenstein Institute and the bedding retailer Gailing in Ludwigsburg free of charge in the spring of 2011. Half of the mattresses were heated to 55 degrees Celsius three times a week using the integrated textile heating elements.The control group received the same type of mattress, but without the control device required for the heating process. Over the course of the following months, the team of Prof. Dr. Dirk Höfer determined the amount of allergenic dust mite faeces several times for both groups. Dust mites had already been successfully prevented from settling in the specially designed mattress in laboratory tests. The field study has now also confirmed these results under realistic conditions. 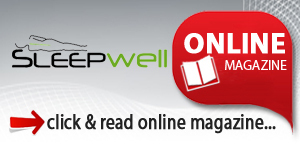 The first intermediate check after six months already showed clear differences between the placebo group and the test group: A clear presence of allergenic dust mite faeces could already be found in a number of the unheated mattresses. The periodically heated Wellmed mattresses on the other hand showed only minimal traces of dust mite faeces. After 18 months there were 17 times more allergens in the placebo group mattresses than in the positive group. When the study concluded after 24 months, the factor had gone up as high as 28. 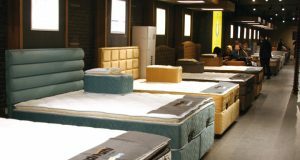 In absolute terms, the allergen content for the users of the periodically heated special mattresses had increased only marginally during this period, proving that dust mites had been unable to settle permanently. All test subjects from the positive group were clearly below the sensitization threshold. The results of the researchers’ study were confirmed by the subjective assessments of the test sleepers who enjoyed lasting improvement of their allergy problems, unlike the control group. To Professor Höfer, the inventor of the dust mite protection mattress, the permanent therapeutic success has been proven, providing the precondition for having the Wellmed mattress approved as a medical aid by the health insurers: ‘The average useful life of a mattress is 10 years. We used the results of the field study to project the allergen exposure for this time period. Even then, it will not reach the sensitization threshold for the patients.’ For the first time ever, this offers the hope of a good night’s sleep for around 5 million people suffering from a house dust allergy in Germany – completely without side effects. Duvet covers, pillows and duvets can be washed in a washing machine at high temperatures. 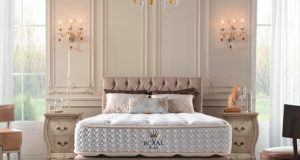 When it comes to effectively controlling the dust mite populations in mattresses and their allergenic excretions, however, the options were previously limited to chemical substances or tightly sealed and therefore not very breathable mattress covers. Both are certainly not good starting points for a restful night’s sleep. A special mains adapter from the German company Rist Transformatorenbau GmbH in Ostfildern ensures that electronic smog does not become an issue with this innovative dust mite protection mattress. Unlike with e.g. conventional heated mattress toppers, it supplies the textile heating elements produced by roma-Strickstoff- Fabrik Rolf Mayer in Balingen with lowvoltage power. This means there is no risk of electric shock and no interfering electrical fields are caused.